Pedestrians in the “Big Mango” can breathe a sigh of relief! It just became easier to walk around in Bangkok thanks to the new Bangkok Skywalk! Right in the busy Pratunam area, the Skywalk linking shoppers from Platinum Fashion Mall right to the front of CentralWorld is a welcome addition. Say goodbye to the days of walking next to busy traffic on a narrow path! Another convenient fact is that the Novotel Bangkok Platinum Pratunam is directly located in front of a Skywalk exit. Now, you’re truly checking in to one of the best hotels for shopping in Bangkok! Not only in the middle of Pratunam area’s wholesale meccas, you’re steps away from the glitzy malls of Ratchaprasong. Serious shoppers must stop by the BigC Supercenter for cheap bulk purchases of delicious Thai treats. But the Skywalk isn’t only for tourists! No need to deal with the inconvenient traffic on your next food hunt. Stretch your legs during your next lunch break and take an easy walk around the area! It’s now a breeze to try the famous local chicken rice, or stop by The SQUARE Restaurant on the 6th floor of the hotel. Devoted to all things buffet, you can enjoy gourmet spreads for breakfast, lunch and dinner. Keep things exciting with the changing bi-monthly dinner promotions highlighting great ingredients. 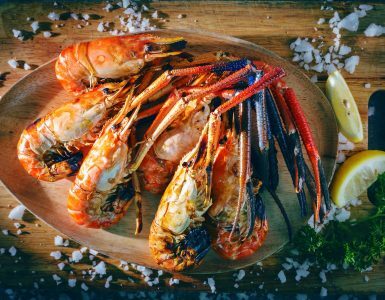 Or bring family and friends for the freshest seafood in our best brunch in Bangkok! If fitness is part of your lifestyle, get an after-work gym session in while traffic is at its worst! The Skywalk means the In Balance Fitness on the 9th Floor is easier to reach than ever. Work out with sweeping city views and the latest fitness equipment. Afterwards, toast the sunset and enjoy the evening view of Ratchaprasong at BAR9 Beer Garden. Chill out with the selection of delicious cocktails and comfort food as well as 6 days of music a week. It can now be said that the Pratunam area has extra accessibility for new visitors. Thanks to the Skywalk linking this busy area with added foot-friendly convenience, more can now try the great food and super shopping. Visit it today and make sure to stop by the Novotel Bangkok Platinum Pratunam!